Based on several previoius years of collaboration ETI asked us to design and implement the interface of a web application. The challenge was to create a web interface that would allow clients to manage software projects. 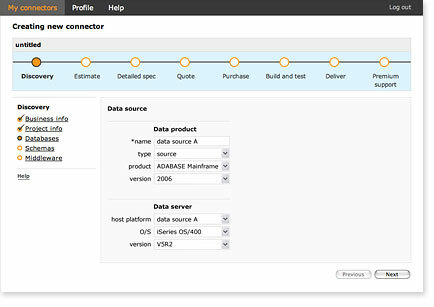 The web application needed to provide users with everything they need to manage the creation of ETL (Extract Translate Load) software. We created a clear, easy to use interface that embodied the necessary steps of the workflow from the initial specification, to the upload of schemas, to the final acceptance of the software. As each step is completed the interface responds showing the user what is done and what yet needs to be done. 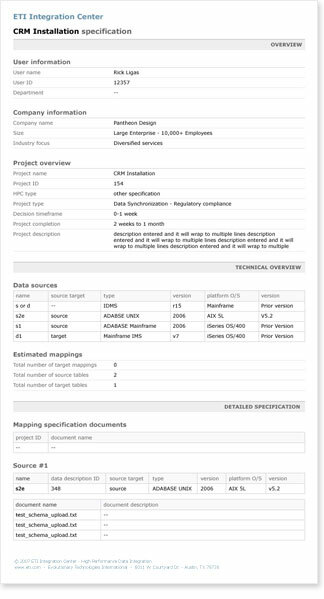 Users can see the status of their projects at a glance. After designing the interface for the ETI web application, we worked with the ETI development team to implement it. 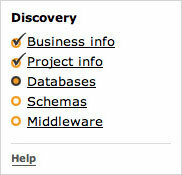 Detail of the "Discovery" process widget. Detail of the interface design for the "Discovery" process. Clean layout for the output report. 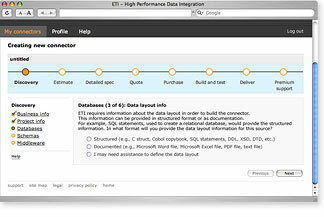 Screenshot of the ETI Integration Center web portal application.